Jumbo Loans: What Are Your Limits? You’ve found your dream home. It’s beautiful, it’s huge, it’s in a good location, and it has that perfect yard. It is everything you’ve ever wanted all smashed together in one perfect, albeit expensive, house that you absolutely need to own. Although every situation is different, many Americans have found themselves in situations similar to your own. While you can receive a standard loan for up to $417,000, your home may be more expensive than that resulting you to consider a jumbo mortgage. The jumbo loan limit is not as clear cut and we will talk more about that in the next paragraph. Conforming loan limits in the United States restrict the type and quality of homes purchased. Loan limits are federally set and uniform across financially similar parts of the country. At times, this uniformity may appear unsurpassable, but there is an option that can help you achieve your housing dreams, notwithstanding these limits. This is called a jumbo loan. Basically speaking, if you want a loan higher than the federally appointed loan limit permits, you must apply for a jumbo loan. There are many benefits to obtaining this type of loan, but it is also important to understand the limits. Is There a Jumbo Loan Limit? Generally speaking, yes, there are. However, while the conforming loan limits are black and white (if you want a loan for $417,001, for example, you have explicitly crossed the conforming loan limit), the limits for jumbo home loans are much less specific. Your loan-to-value rate (LTV) will influence the limits of your jumbo loan. This means that the closer you get to 100% financing on your home, the lower your jumbo mortgage loan limit will be. Your lender will also have a large influence on your jumbo loan limit. While the amount of a loan varies from lender to lender, the jumbo can reach as high as $4 million, though $1.5 million is more common. The location of your home will also have an effect on the limits your jumbo loan will have. Approved jumbo loan limits will often vary from county to county, depending on the existing financial condition there. If you are looking to buy in a high-priced area, such as in parts of California or Hawaii, your home loan limits will likely be higher. What About for the VA? Jumbo loans are available through the VA. With the VA, you are required to pay 25% of the amount over the conforming loan limit of $417,000 as a down payment. For example, if your dream home is priced at $800,000, the difference between this price and the conforming loan limit is $383,000, making the down payment $95,750. VA approved jumbo loans are a viable option for those who are financially stable and are looking for a way to buy more expensive properties or homes. 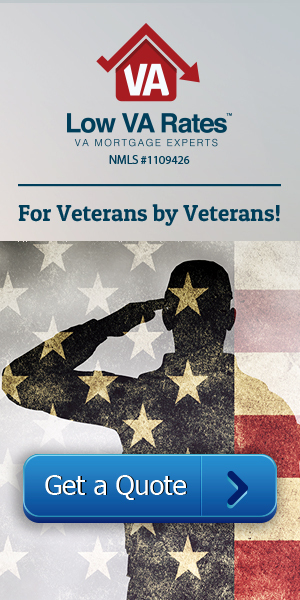 If you have found your dream home and want to be able to afford it, apply for a VA jumbo loan. It can and will help you live out your dreams, no matter how big they are.